This beautiful and unusual weeping form of the Katsura Tree has the lovely red tinted leaves of the Katsura tree in spring which slowly fades and turn green in summer. 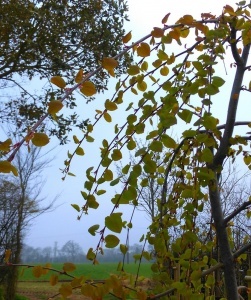 The strongly weeping branches of Cercidiphyllum japonicum Pendulum makes for a stunning site all year round. 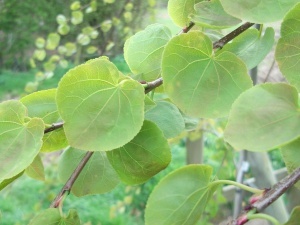 The leafs in autumn as with other Cercidiphyllum japonicums when they fall, smell of burnt sugar giving the Cercidiphyllum its more common name of the Candy Floss Tree.